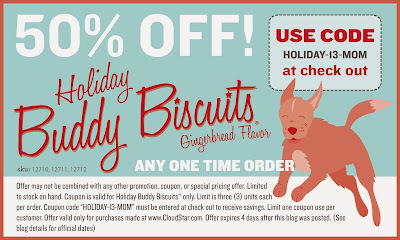 Dante-puppy loves his Cloud Star biscuits, so we jumped at the chance to try out their holiday Buddy Biscuits. This time, they are gingerbread flavored, and smell just like real gingerbread! Seriously, these are one of the best smelling dog treats I've come across. (Yes, I know the dogs don't care, but as the person who has to hand them out, smelling good is a plus!) The Holiday Buddy Biscuits come in three sizes--minis, regular and cookie sized. Dante has sampled all three and approves, with my favorite being the minis for ease of use. Why else do we love them? 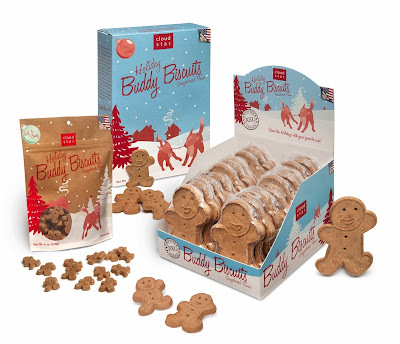 As always, Buddy Biscuits are made with natural ingredients and are corn-free, along with no soy, artificial colors, artificial flavors, byproducts, and preservatives, very important for Dante. 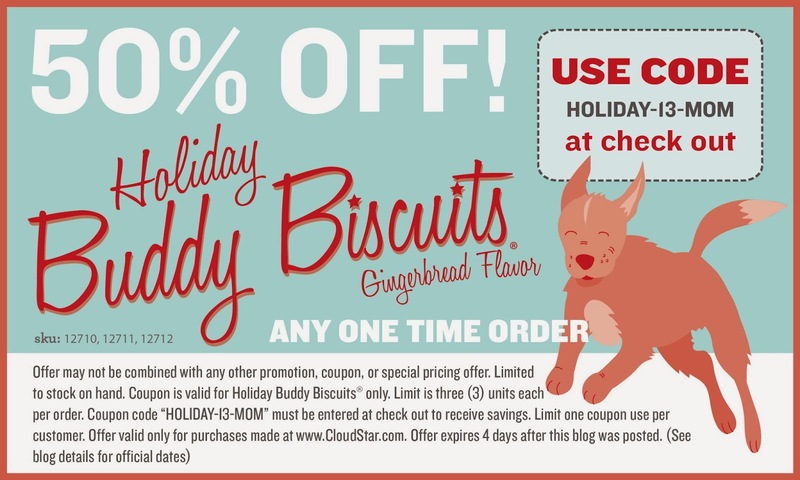 Cloud Star also donates $1 for each proof of purchase sent back by their customers to charities benefitting animals, women and children.